AGH - this makes me chuckle this jetlagged 8am morning. Enough to let it float in the center all alone like the masterpiece the cover is. 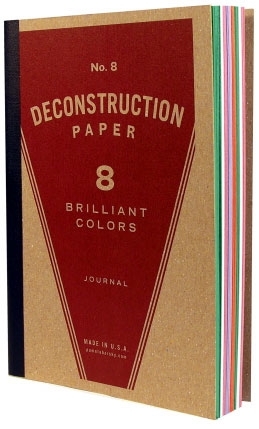 DEconstruction paper - absolutely brilliant (brilliant colors as well). Pamela Barsky as well: she has become my theme of the day apparently. thanks for including my deconstruction journal. i’m honored to be displayed next to such beautifully designed things.